How do you map the Virtual Device Node of a Virtual Disk on a VMware Guest Virtual Machine to a Disk within the RedHat Enterprise Linux Operating System? This is a question that has come up a few times at my client recently. I decided to spend this Saturday in my lab to see if I could find out. Now, lets match them up. 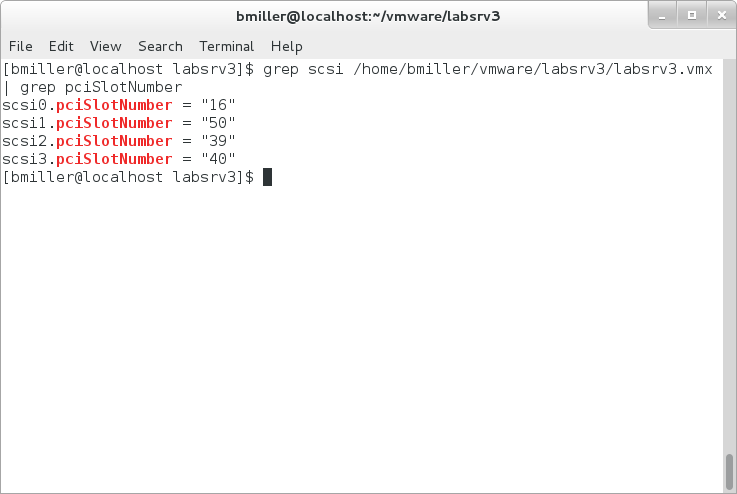 Compare the numerical order of the scsi adapters pciSlotNumbers in VMware to the numerical order of the scsi host numbers in RedHat. Then use the id numbers to identify the disk. The id number will be consistent between VMware and RedHat. Now, lets match up the remaining disks. 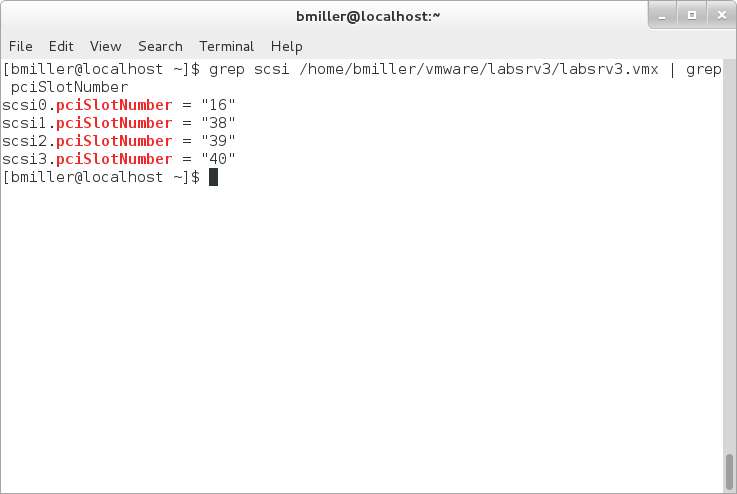 Linux assigns scsi host numbers at boot time based on the order in which it sees the devices. 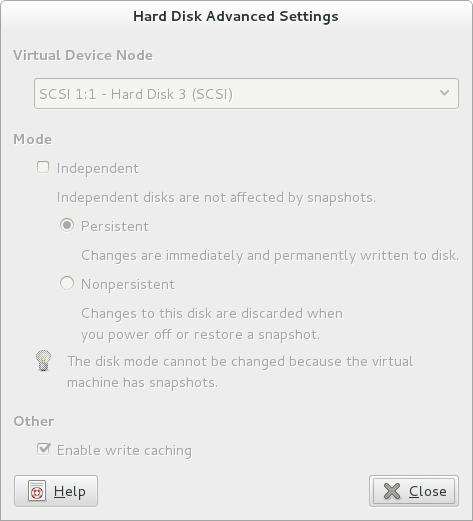 Linux does not know about the number that VMware assigns to the scsi adapter. Therefore we have to check the order in which linux will see the devices at boot time. I’m running VMware Workstation 11 in my lab environment. I used RedHat Enterprise Linux 7 as the Guest OS. I used a base install with the latest updates. lsscsi was not installed by default. I had to install it by issuing the command yum install lsscsi. Would it be possible to match things up without lsscsi? Yes, but it would involve more command line work. This post has the potential to be confusing as it is. For reference, I did try changing the pciSlotNumber of one of the scsi adapters as a test. I shutdown the Virtual Machine. I edited the vmx file with vi. (I do not recommend doing this except in a lab environment for testing purposes). I changed scsi1.pciSlotNumber = “38” to scsi1.pciSlotNumber = “50”. 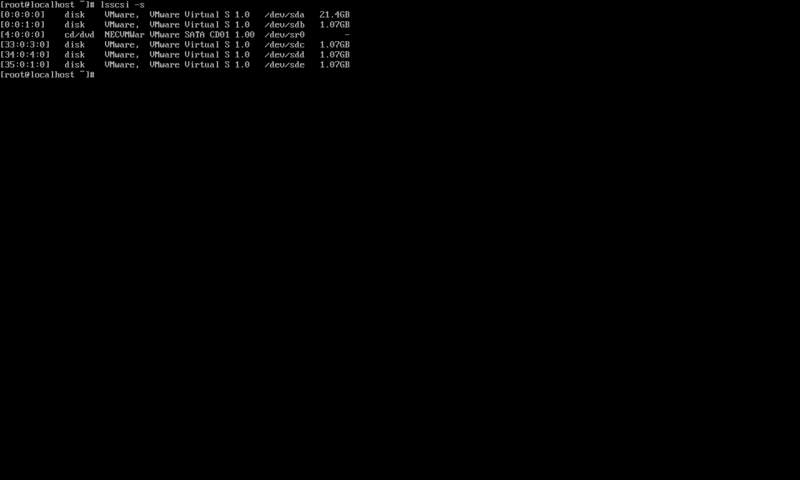 After making the change, I powered on the VM. Sure enough it did change the order of the disks displayed by lsscsi. The last 2 screenshots reflect the change that I made. Well, Saturday is almost over. It looks like I accomplished my goal of one post per week, published on Saturdays. Have a nice weekend. 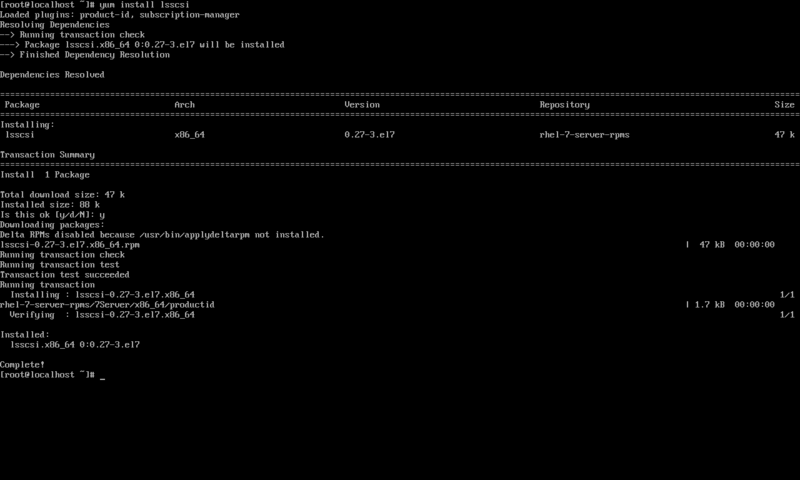 This gets much more difficult on VMs with LOTS of disks. I have to reverse map 30 disks attached to a VM. Many of these disks were added piece meal over an 18 month period. VMware re-orders the disks when you add new ones, so any mapping you have made will change on reboot when you add more disks to a VM. This is documented in a VMware KB article.